That child has a hoodie on! 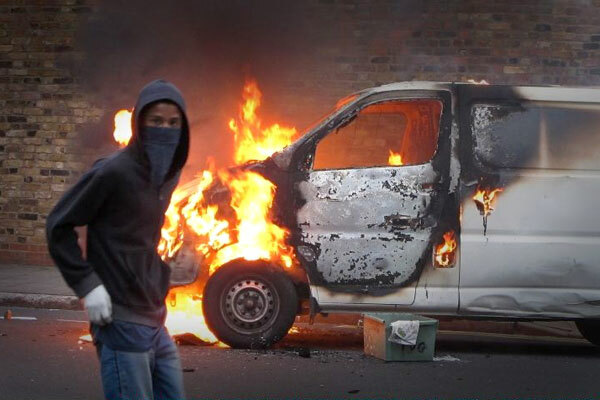 Yes he does – he’s reclaiming the hoodie for the left! Excellently put, but I’m not sure about the bit where you say “swell of public sympathy for the Met”;my understanding was a lot of people were very frustrated and angry that the Police weren’t there, or were “hanging back”. I personally have more sympathy for the people who owned shops and businesses that they’ve lost, and for people who haven’t got jobs any more as a result of that as well. I don’t think we will find out a lot about why people did this, sadly. When teachers, Army graduates and Graphic Designers are mixed in with ‘local youth’, it makes it harder to pinpoint. Just greed, I guess. By Sympathy for the Met (now there’s a song title if ever I heard one) I meant things like that Facebook group that everyone’s joined supporting them – myself included, until I read the racist posts on there. According to Comarde Marc Thomas they are using the page to support ads from the BNP. Nice. 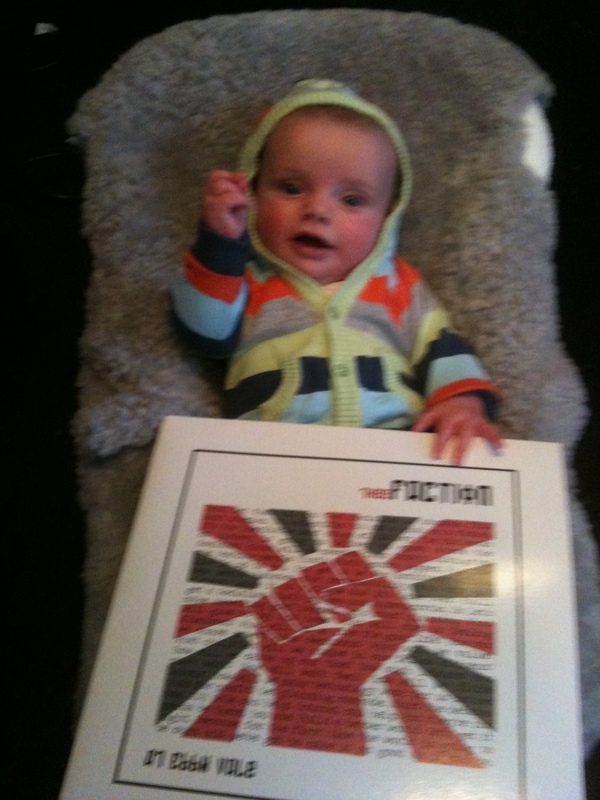 Love the picture of the album-brandishing yoot as well.